Nearly six feet long, the Full Body Sleeper is the next best thing to slipping into a hot tub. 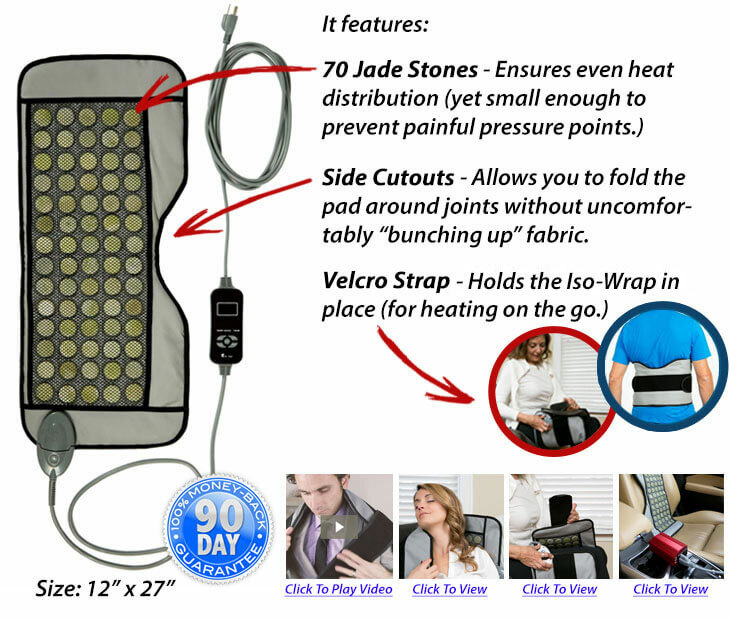 IMPORTANT NOTE: DeepHeat™ Heating Pads are ONLY available in the United States & Canada. If you live in Alaska, Hawaii, Puerto Rico, and certain remote areas of Canada there is an additional shipping fee (a Healthy Back representative will contact you upon completion of your order). For shipping estimates to these areas please contact us at 1-800-216-4908. All Canadian Customers are responsible for payment of all duties, taxes and/or brokerage fees that may apply. Testers nicknamed the Ultra, Back and Neck the “Back Surgeon’s Worst Enemy” because it provides full coverage to every square inch of your neck and back. 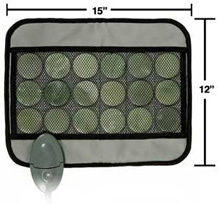 The smallest of the three, the Iso-Wrap is the perfect size for targeted use. It’s small enough to completely cover your smaller joints (like elbows, knees, and shoulders) yet large enough to wrap around your waist and use as a lower back brace. 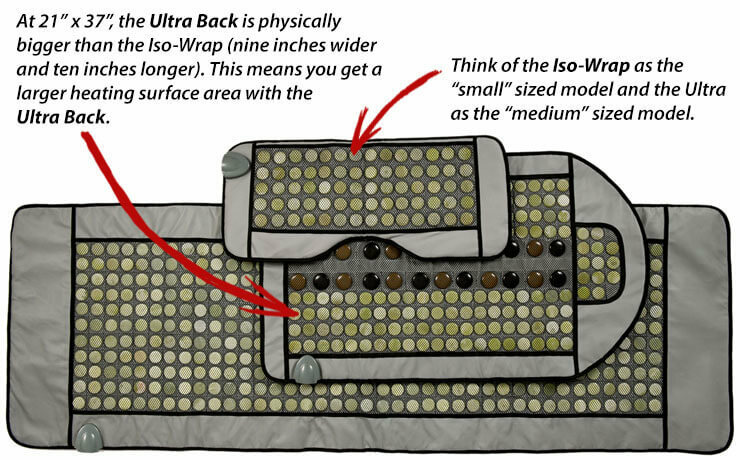 The Iso-Wrap delivers even heat distribution from every angle to maximize pain relief and healing. Do NOT feel like you are “missing out” if you choose one model over the other. All deliver the same far infrared waves to heat, soothe, and heal your muscles. All feature jade stones for even heat transfer. And the Iso-Wrap and Ultra, Back and Neck models each come with a velcro strap to hold the pads in place. They will all ease your pain equally well. The big difference is size. 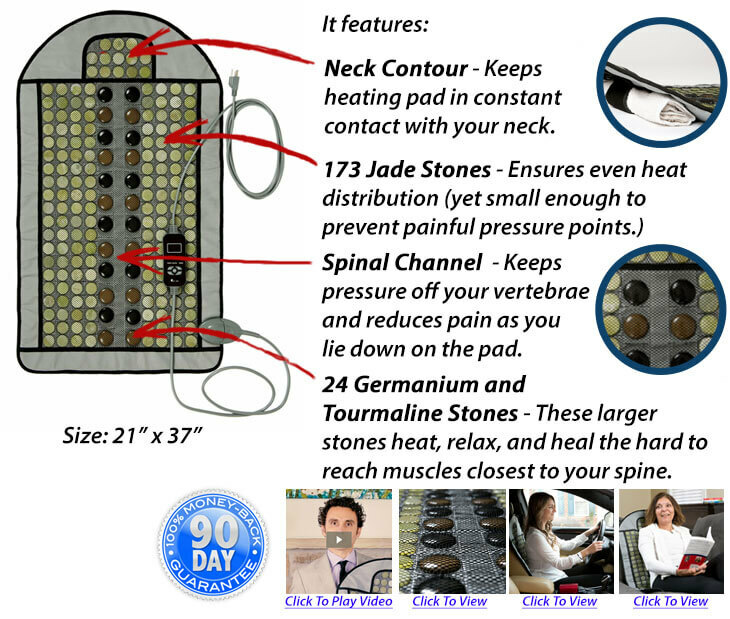 ...then the Ultra, Back and Neck is right for you. ...then the Iso-Wrap is right for you. 1. 90 - Day 100% Money Back Guarantee - You must be absolutely delighted with your DeepHeat™ or I Insist You Return it Within 90-Days for a Full Refund of Your Purchase Price (Excluding Shipping Fees). 3. Two-Year Limited Warranty - On materials and workmanship. If anything happens to your DeepHeat within the next 2 years you won’t spend a dime on repairs. 4. 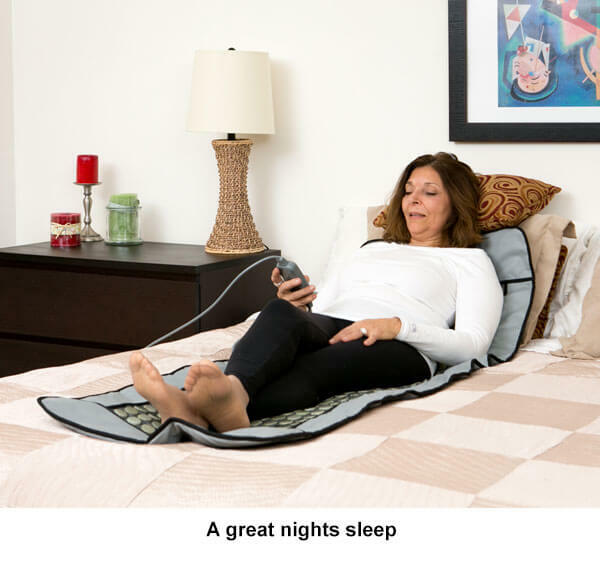 Personalized Support from Certified Back Health Specialists - We are the ONLY company offering these far infrared heating pads along with personalized support from our certified back health specialists. If you have any questions at all, just ask and we'll be happy to help you. This is a real $97 value by itself. 5. Feel Relief in the First 10 Minutes! 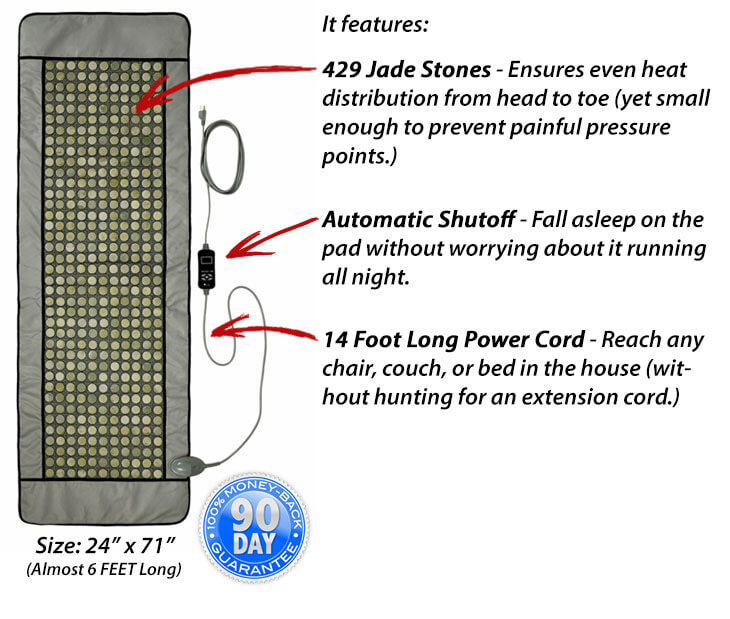 - Thanks to far infrared energy (that delivers 20 times MORE healing power than conventional heating pads) discovered by NASA scientists.